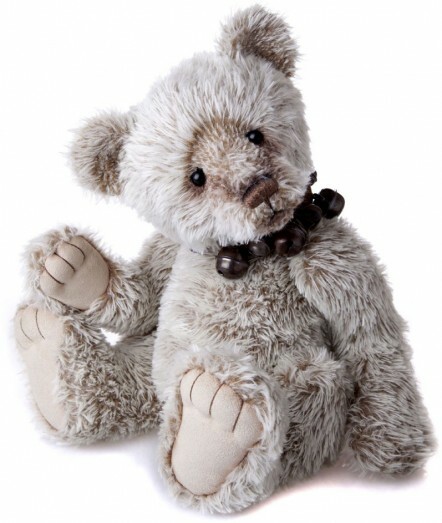 A really cuddly, unusual bear, Lawrence is made from short-pile plush fur in white, with a warm beige backing that gives him the look of mohair. He is a tubby bear, with a nice round tummy, soft paw pads and a friendly face. Lawrence wears a collar with several jingle bells. Yes, free bag please!No thanks! I have too many already!